These are a great find. The color is perfect with our barn wood head board and the are very sturdy and I would expect them to be more expensive. I am very happy with my purchase. 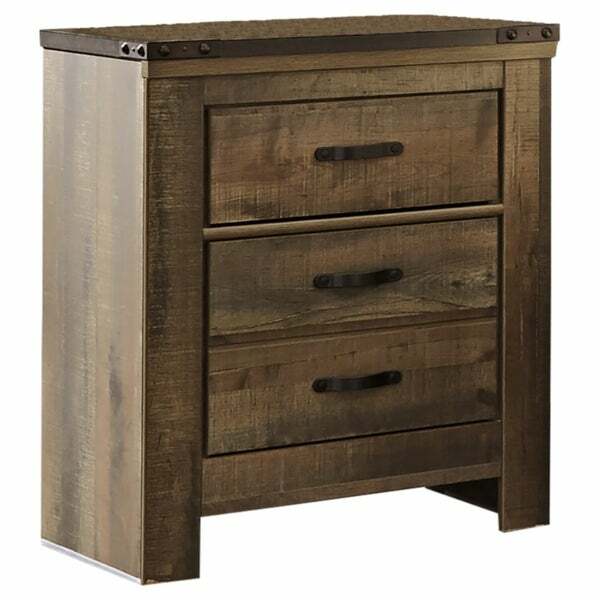 Whether she loves horses or he's a cowboy at heart, Trinell nightstand matches their authenticity. Rustic finish, plank-style details and nailhead trim pay homage to reclaimed barn wood, making for a chic look loaded with charm. A built-in charging station for tablets, cellphones and other electronics offers an up-to-date convenience. Bottom drawer interior Width: 14.50"
Bottom drawer interior Depth: 13.00"
Top drawer interior Width: 14.50"
Top drawer interior Height: 3.00"
This is a nice looking side table in the picture; however, upon receiving this we were really disappointed. 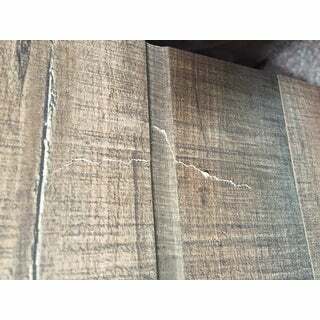 In the description it says that the material is wood, but it appears there is a veneer top coat to this as the wood 'look' is actually a computer print, not actual wood pressed together. We will be returning this. Awesome purchase as nightstands. Very high-quality, and the metal banding adds a very nice touch. Just fyi- the wood has more accents of gray than it shows in the picture, giving these a great reclaimed look. The charging ports are great, too. 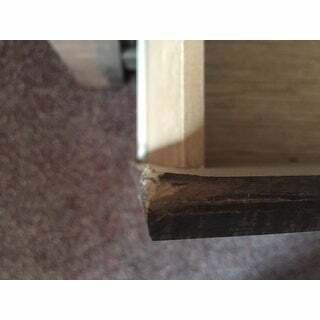 The quality is poor, the drawer fronts arrived damaged with splits on top of the drawer and a dent on one of the drawers. The plank image is a picture. 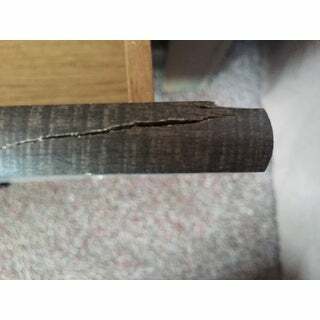 The package was not damaged so we wonder how did the damage occur? We think it was damaged before it was packed. Total hassle to return so we are keeping it. Return policy does not allow for a damage credit, it’s return or keep. Even better than expected. They are sturdy and well built. Coming assembled is a huge plus The color is gorgeous. Great product with an amazing price. "Is this nightstand really made of wood? One of the reviews says that it is not. How much does it weigh?" This is made of replicated veneer and engineered wood and it weighs 53 lbs. "Whst are the dimensions "
This item measures 24.72 inches wide x 16.18 inches deep x 29.88 inches high.